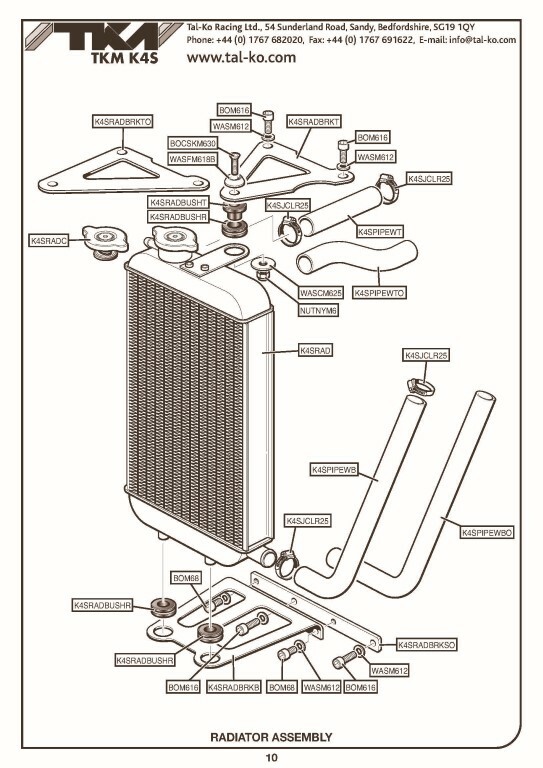 SMALL STANDARD ENGINE MOUNTED WATER RADIATOR WITH 1.2 Bar CAP for TKM K4S 4 Stroke engine and other model engines. STANDARD RADIATOR 1.2 Bar CAP for Small Straight Radiator for TKM K4S 4 Stroke engine and other model engines. TOP RUBBER WATER PIPE OFFSET for Standard Engine Mounted Radiator on TKM K4S Engine.